Gotta give it to you for the creativity bro. Sick!!! Love your ideas. Please keep us updated! Didn't have any mandrel bends so lobsters it is. I want to get a few mandrels for the back section just because it's SO much faster to build that way. 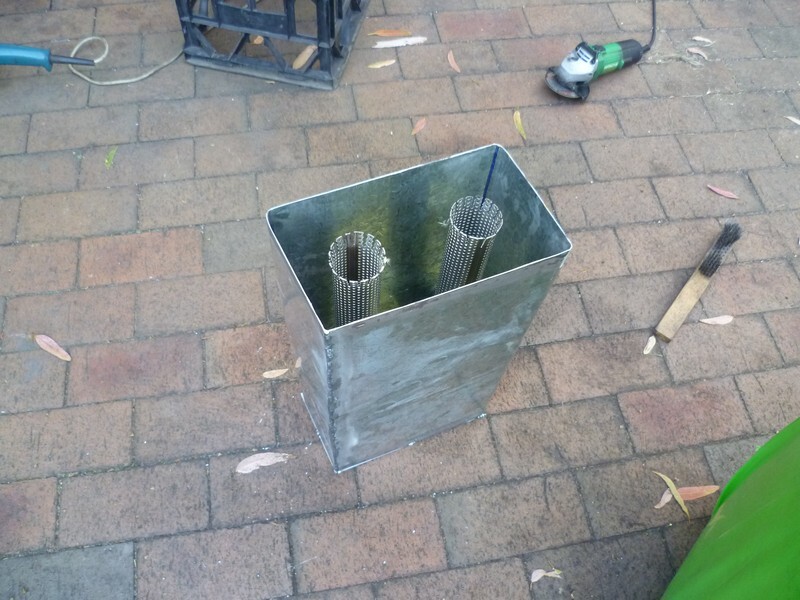 Ah well, I've got a couple of 2.5" bullet mufflers which are going straight after this one and then at the rear there'll be a 1/2 metre long twin 2" glasspack which should really quieten things down. 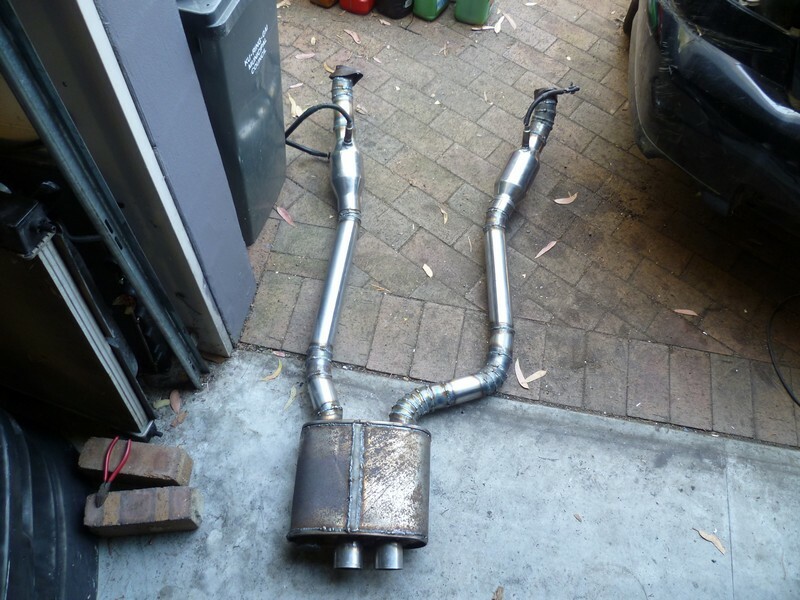 I've just been plugging away on the exhaust over the last couple of days. 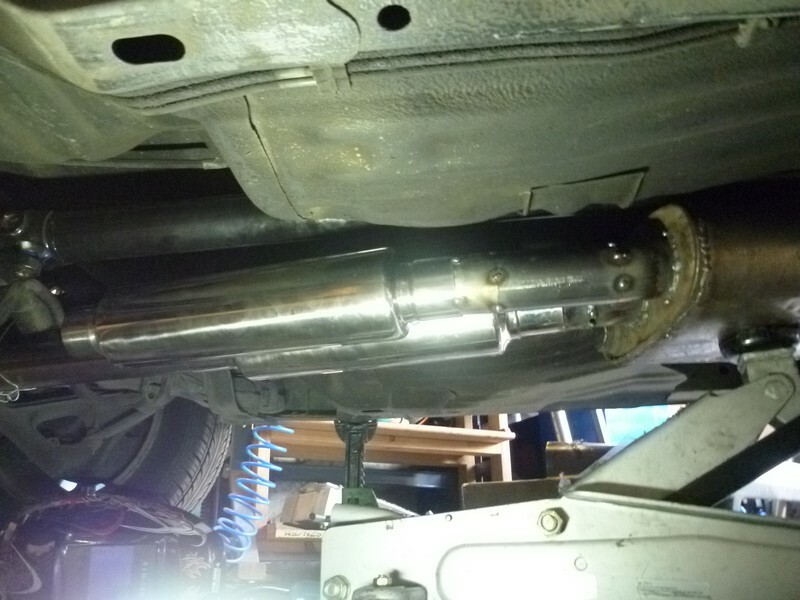 First was installing the two mid resonators after my DIY muffler. 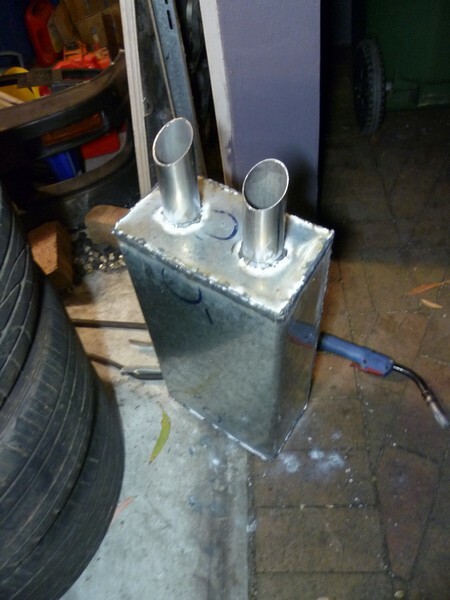 Then I thought I'd have a real go at making the rear muffler. 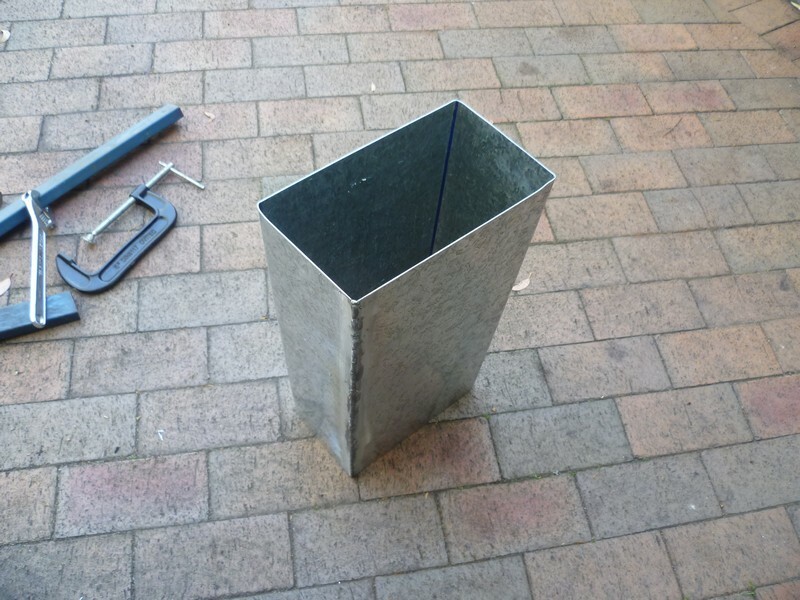 I've read that the bigger a glasspack is the more it muffles, so I measured the space I had for the rear muffler and went to town with the sheet metal. As you can see it didn't turn out perfectly square, but that doesn't matter. 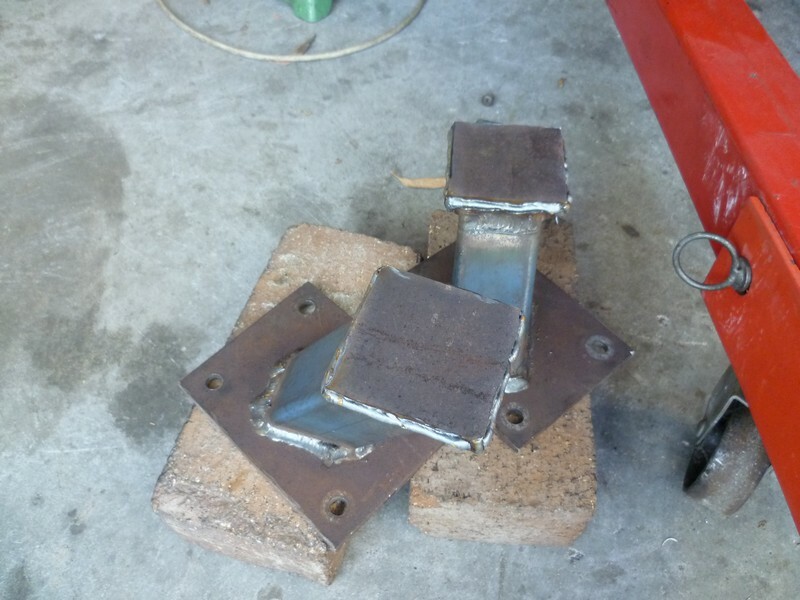 Next up was to flare one end of the perforated muffler tubing. This is because the tubing is welded at one end and then the other is just pressed together. 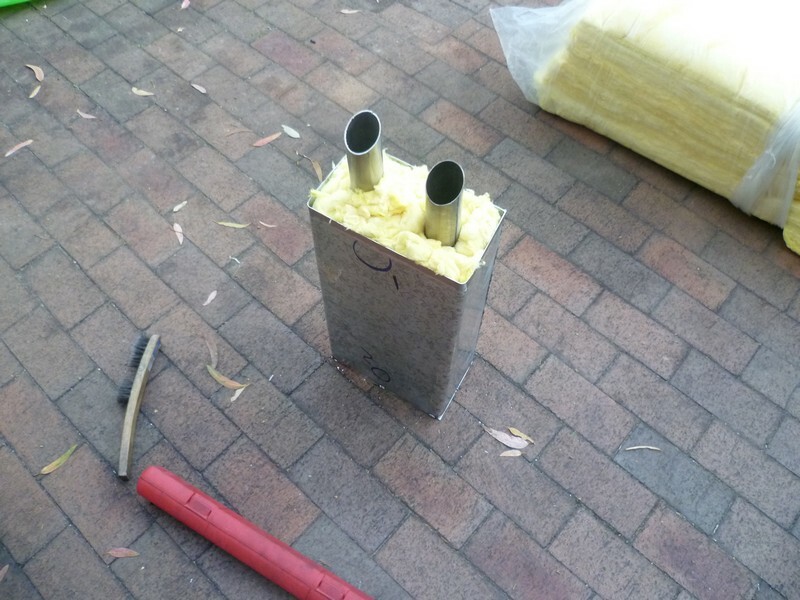 This helps with disassembly if you ever have to cut apart/repack the muffler and also decreases the chance of it cracking due to different expansion rates of the tube and the casing. 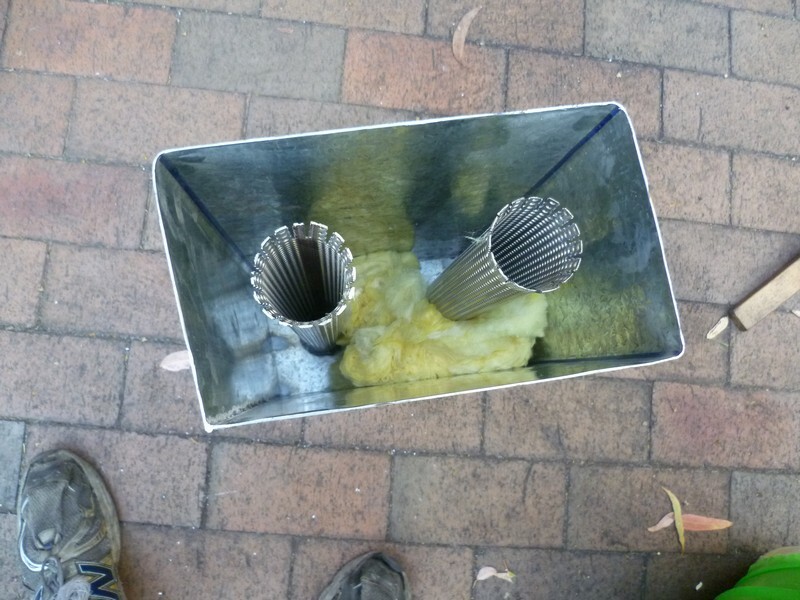 The perforated tubes were welded to an end piece and this was tacked to the outer casing. Once this was together the packing begins. 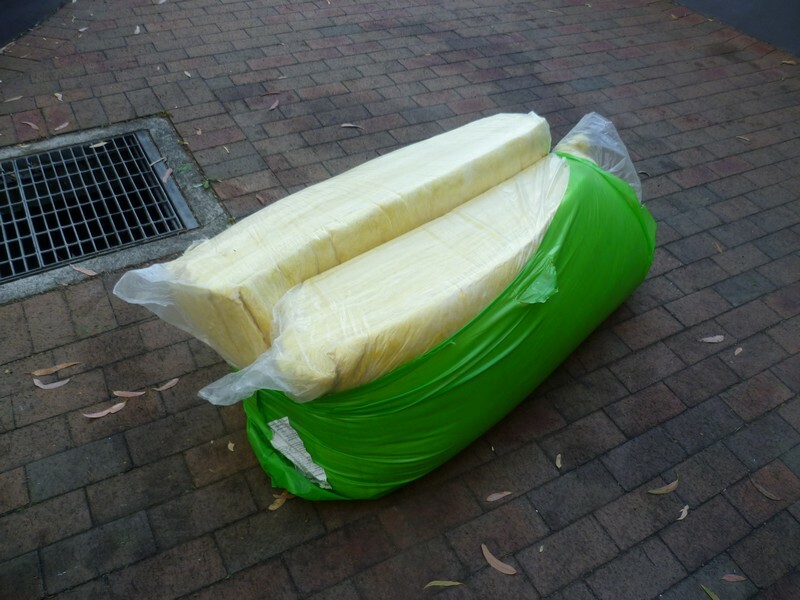 It's important to fit as much fibreglass in as possible. 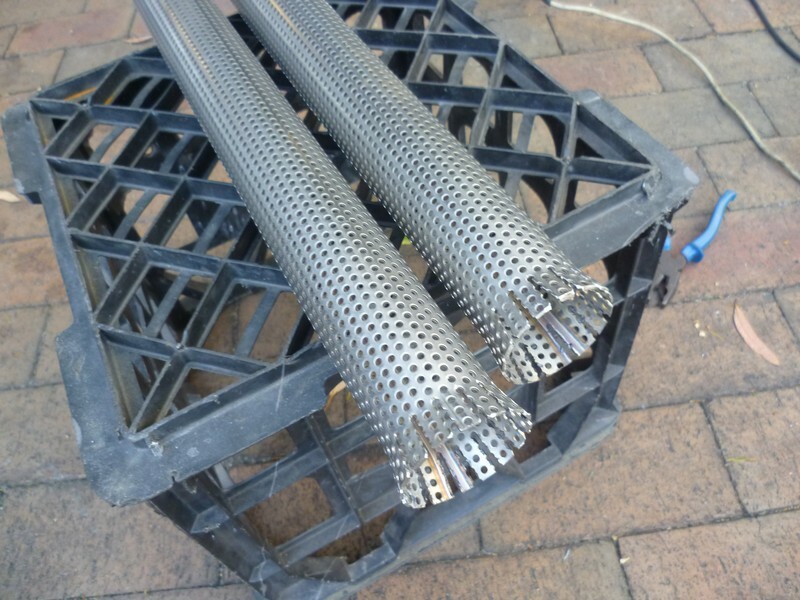 Now it's usually a good idea to put a layer of stainless wool between the perforated tubes and the fibreglass to prevent the glass from blasting out over time. 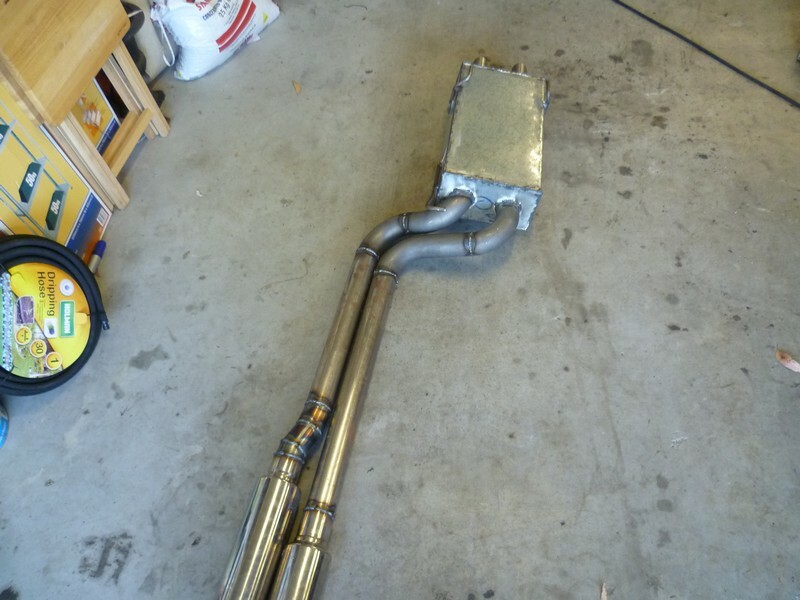 I decided not to do this because it makes the muffler quite a bit louder than a straight glass pack, and I plan on remaking the muffler at a later date when I get some 2.5" perforated tubing. So, for the moment, straight glass will be fine. 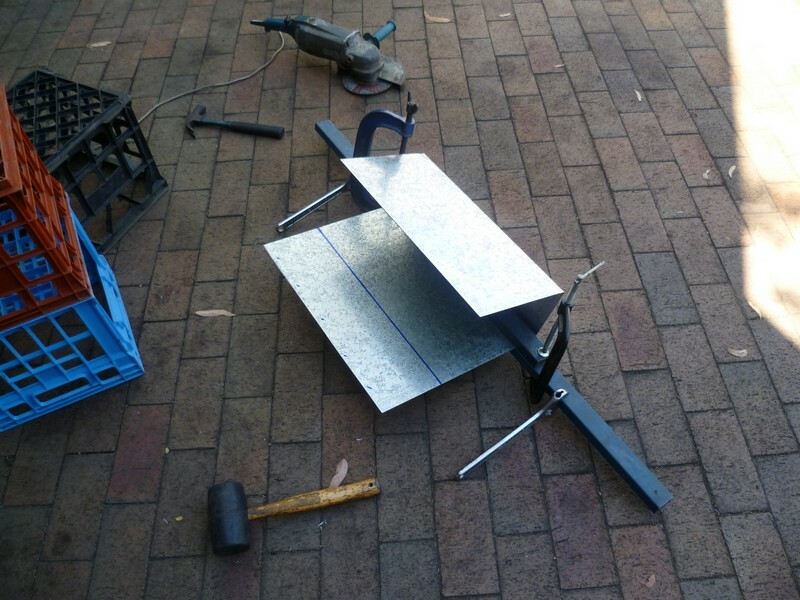 Finally the second end plate is welded on and the whole thing seam welded together. 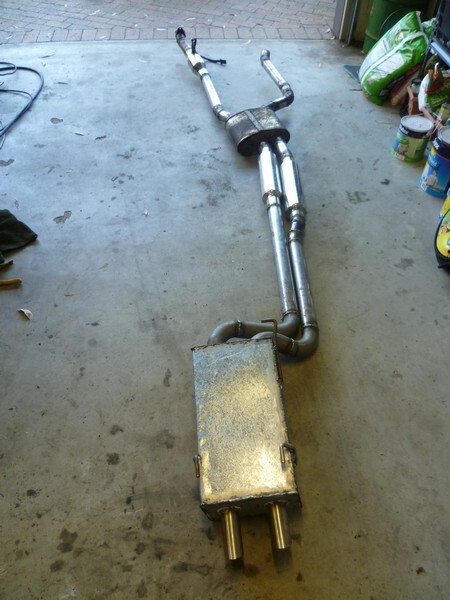 Now this muffler is the biggest which can physically fit under the back of an S13. 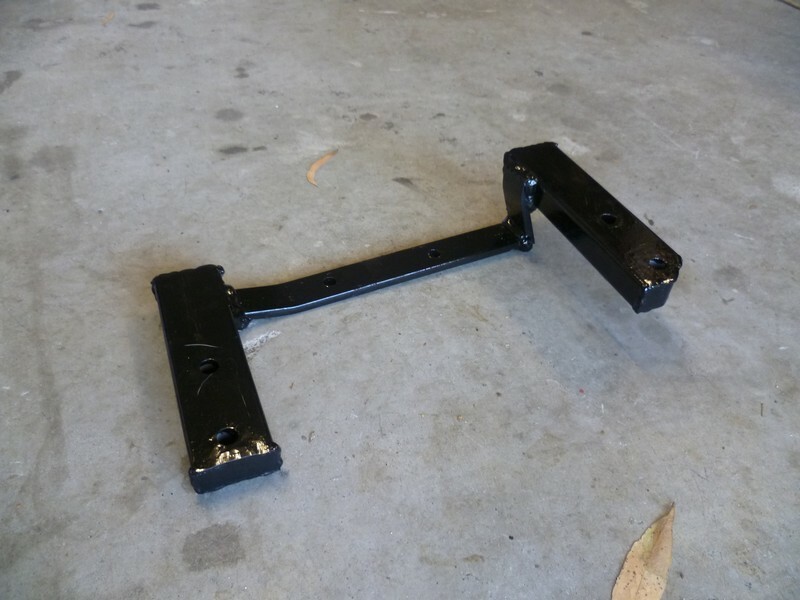 It's extremely heavy because it's made from 1.6mm steel where regular mufflers are made from about 0.9mm, however they're pressed together. 0.9mm is too difficult to weld which is why I went with 1.6. It will also be less tinny sounding (apparently) and a bit quieter. 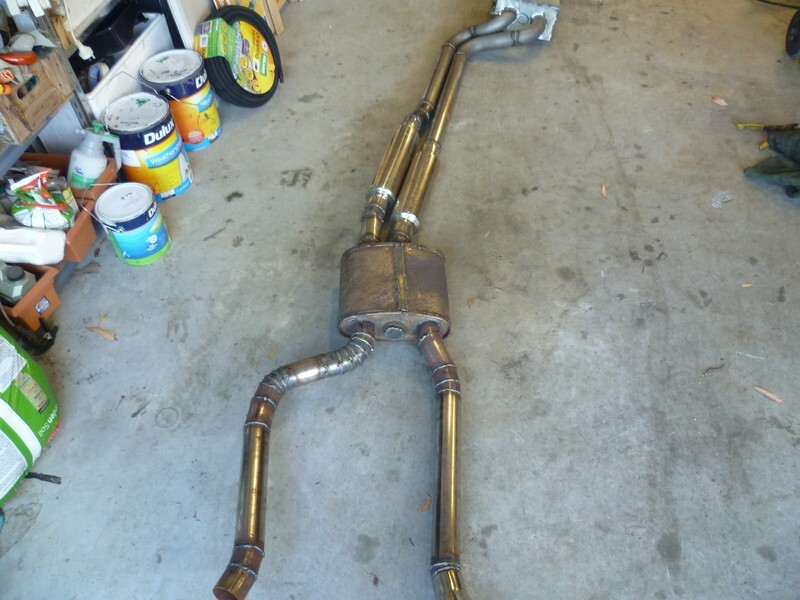 All that's left to finish off the exhaust is to get a couple of mandrel bends on Thursday, connect the muffler to the rest of the exhaust and make hangers. 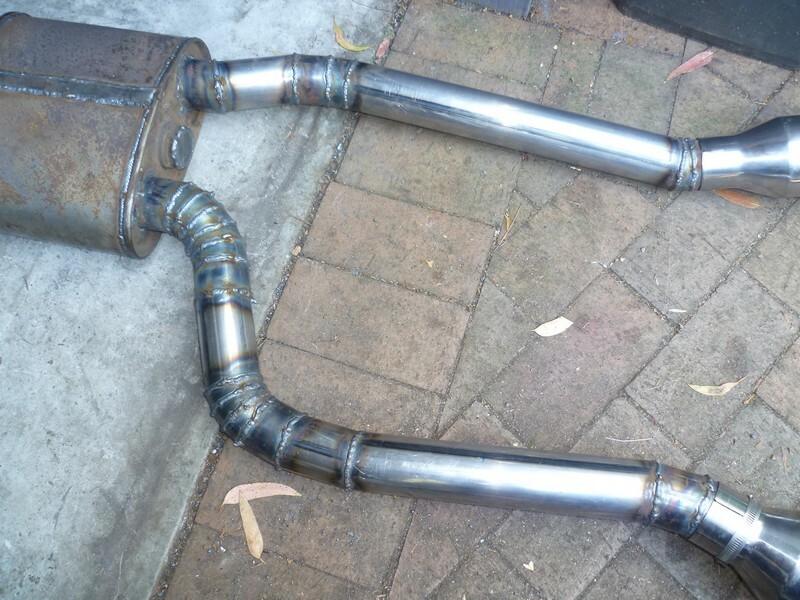 The exhaust is finished! What a mission, I'm glad it's over. Here's a video of what it sounds like. i really like it and I'm confident it will pass the noise test. The camera mic seems to resonate at idle, it's not that loud in person. Well here's what I've been up to the past few weeks when not helping my mate with his car. 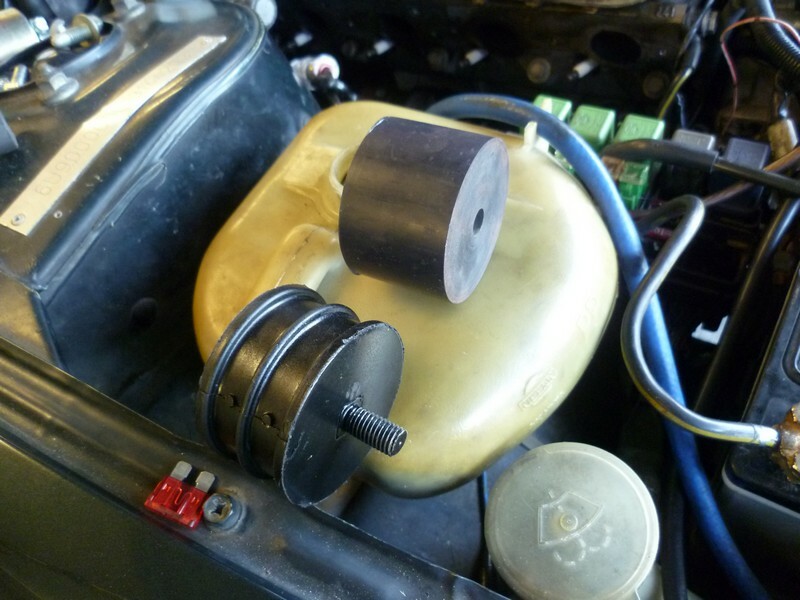 I was trying to clamp it down to that piece of rubber and pressure test it but there was no way it was going to work. 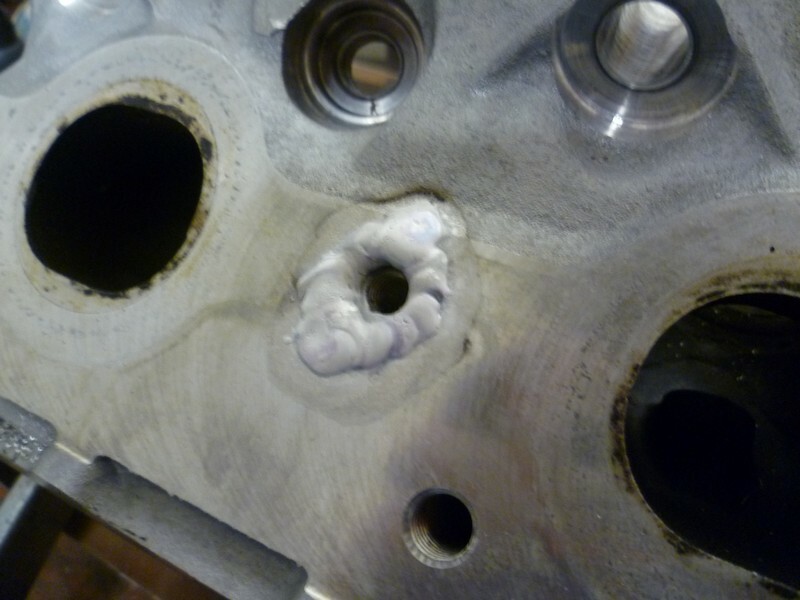 I preheated the entire cylinder head on the barbecue which seemed to work well, then had at it with the TIG welder. 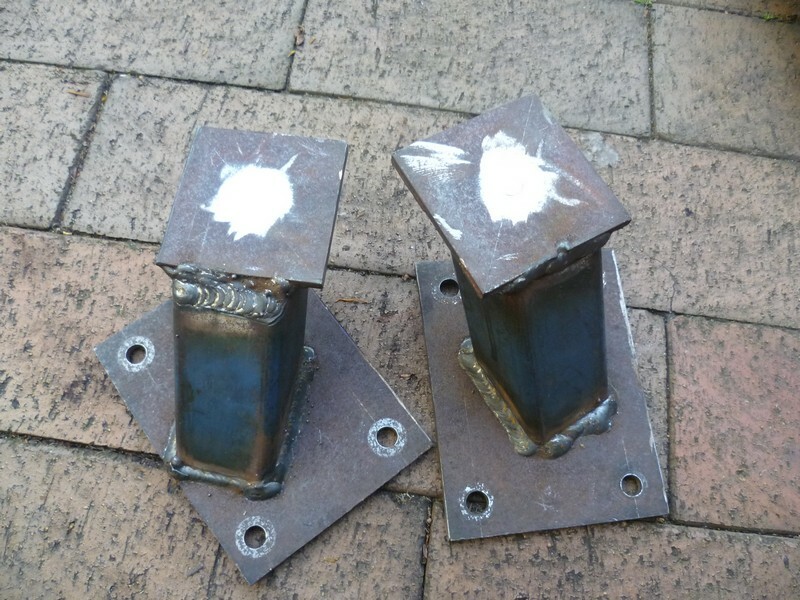 Unfortunately I don't have a pic of the head once the welds were ground down. 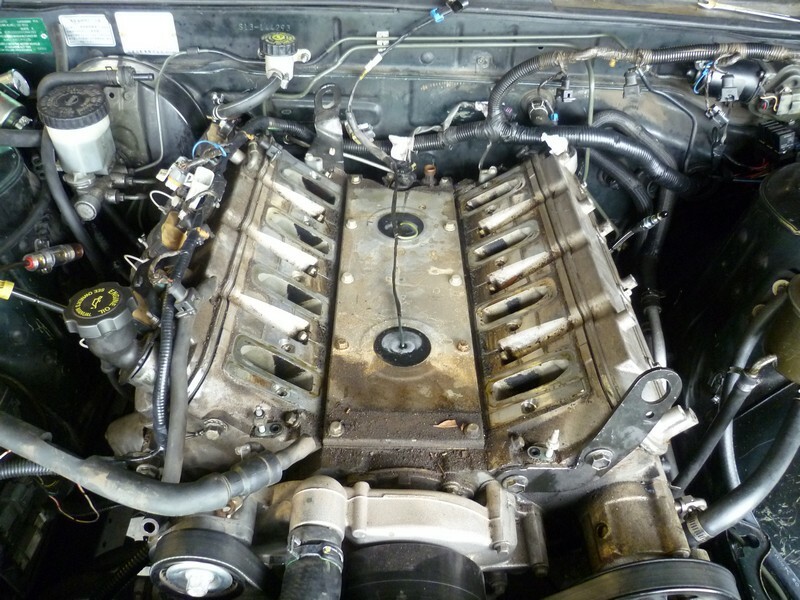 It's currently all bolted back together with a new head gasket and bolts, I'll be testing for leaks tomorrow. 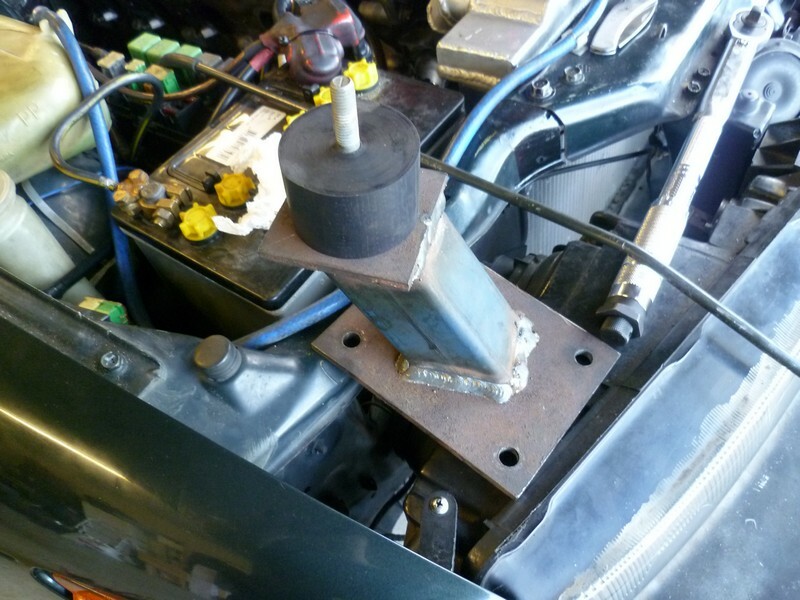 The other thing I did was to modify the engine mounts from solid nylon to land rover engine mounts. Here's a pic of the original setup. 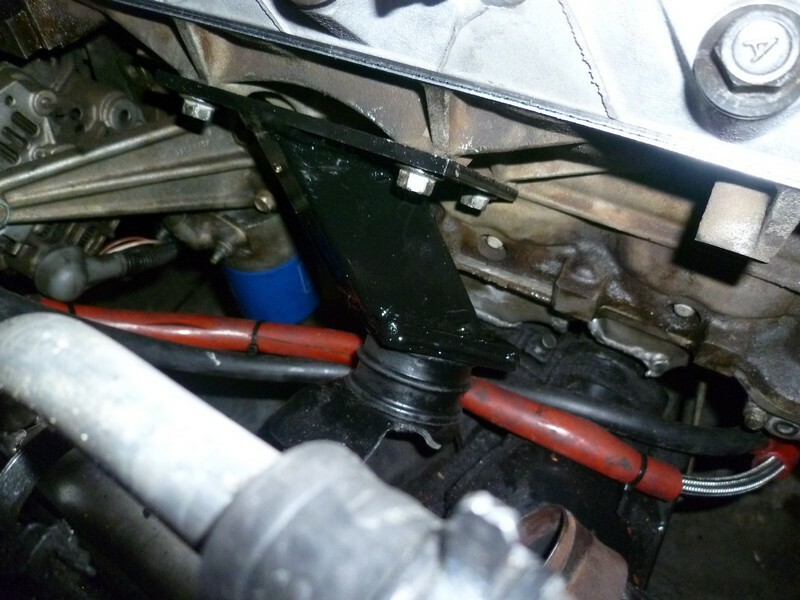 Here's the new land rover engine mount next to the solid plastic ones. 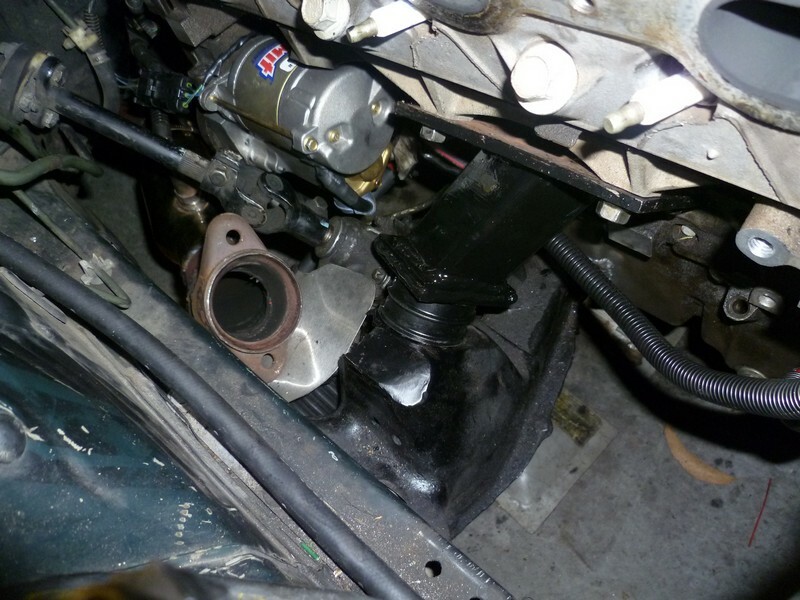 The land rover one has two captive M10 bolts and is about 6mm shorter. 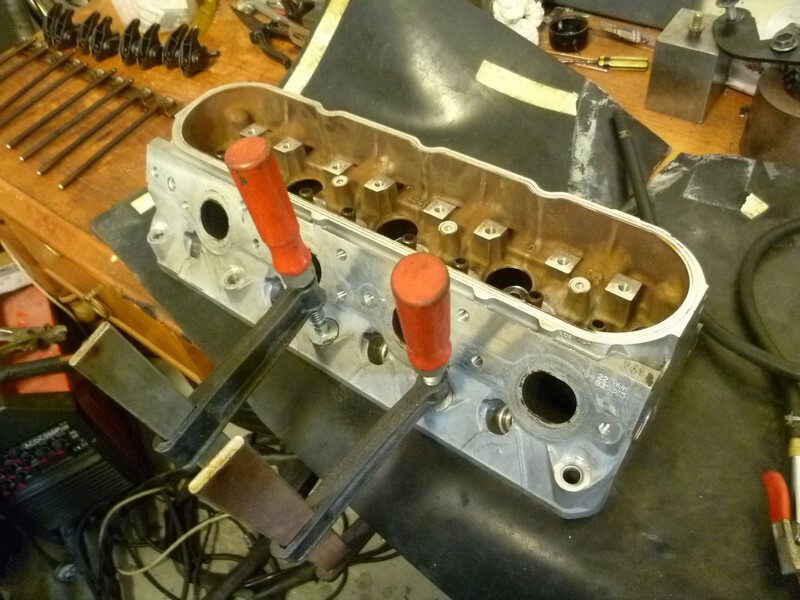 Then I welded some 6mm plate onto the face of the mount to space it out and give more meat for the threads. 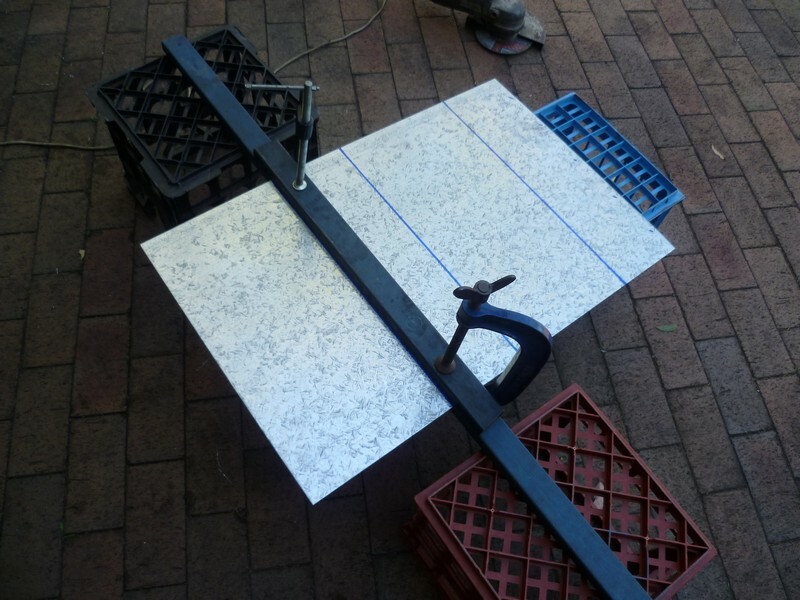 Finally I just had to drill and tap in the centre of the plates. 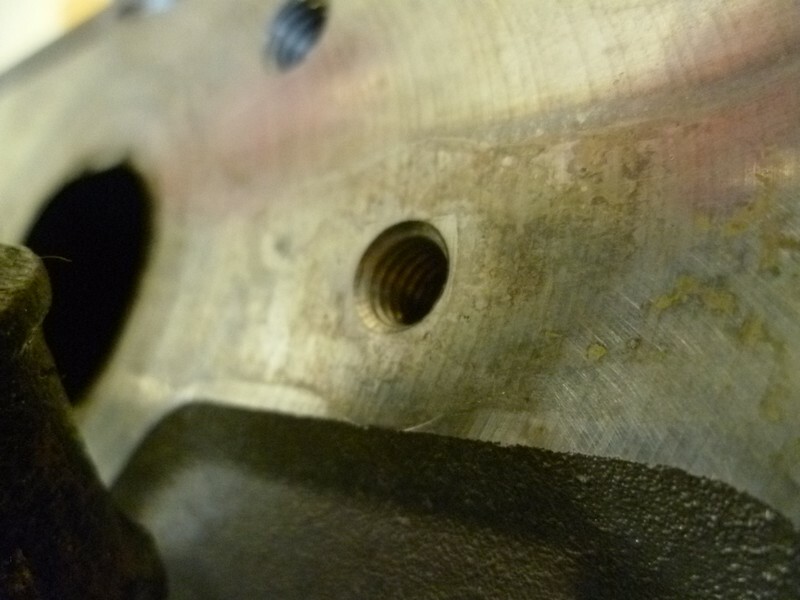 It was good because the thread went through both 6mm plates and also the head of the bolt which was cut out so they're plenty strong enough. Tomorrow I've got a few mates coming around to completely finish the car except for the 5 stud swap and 300zx brakes (I don't have the parts yet). That will allow it to pass blue/pink slip as soon as I can book it in and I can apply for an unregistered vehicle permit to drive it to the engineer and emissions test! 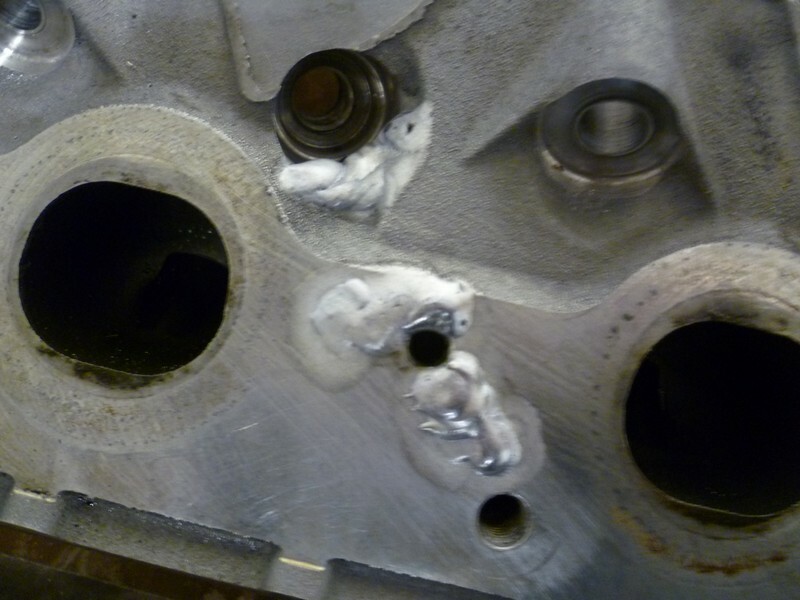 Well the cylinder head still leaks, but only from one of the places I welded which is good. 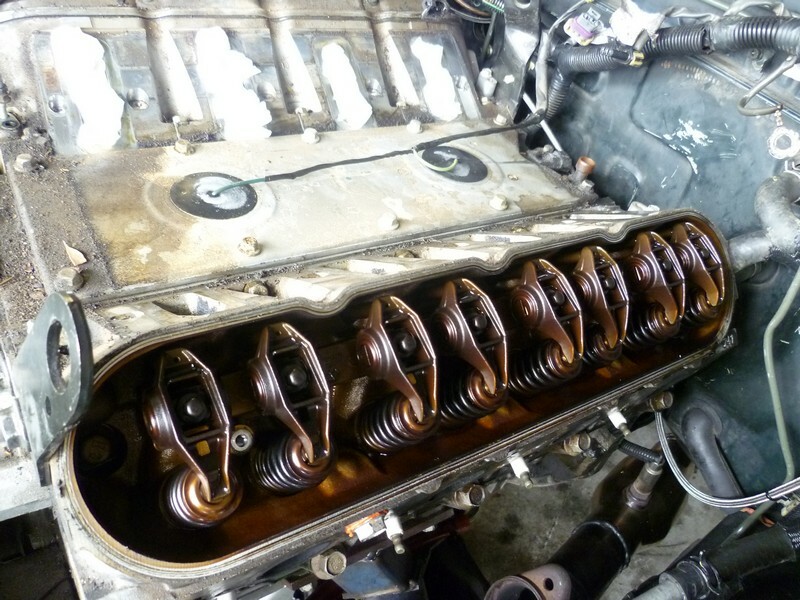 I'm going to have to pull it off, re-weld and then reinstall with a new head gasket. It's very disappointing but it's my own fault for buying such a trashed donor car. 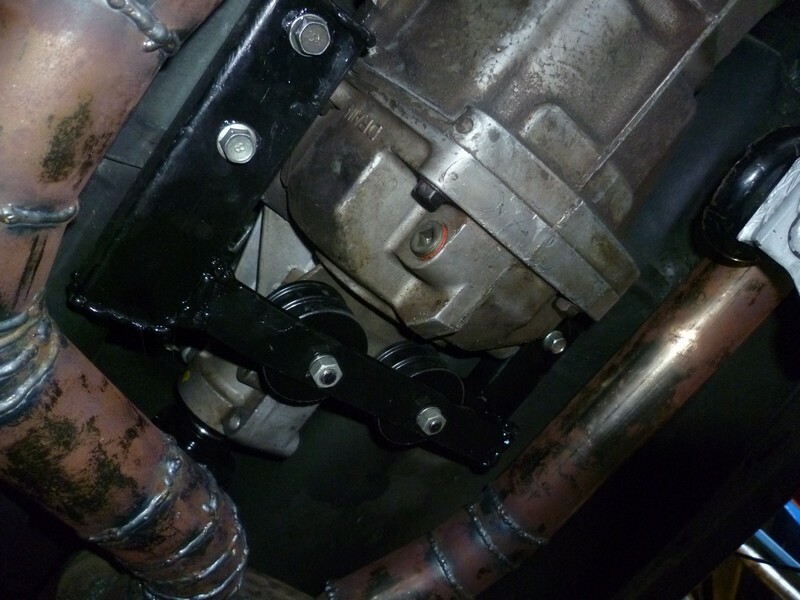 A few days ago I finished modifying the gearbox mount to use land rover mounts rather than the solid nylon blocks it had. 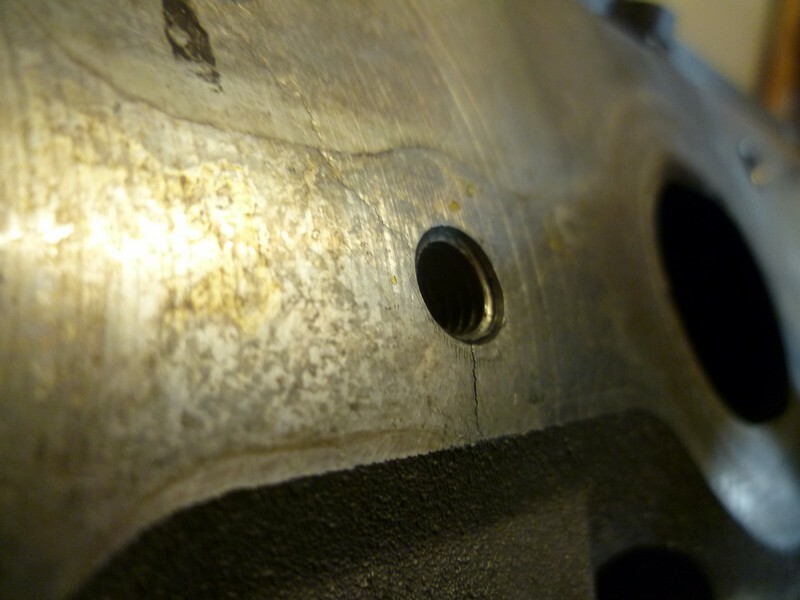 I've also bought a set of R33 rear hubs and some front conversion hubs from the states to make it all 5 stud. I scored some 17x8 ROH Drift R rims (8" wide is the most I can legally go ) to match. This is all to clear the z32 brakes which my engineer wants on the car, and while I could have bought some 4 stud wheels which would fit they would have been much more expensive than converting to 5 stud. 5 stud also means I can get cheaper drift/race wheels if I decide to go down that path. That car rolled but the airbags didnt go off? WTF? also why not just go to pick and payless and get a muffler off a car with an engine similar or larger specs and use that?